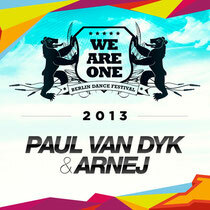 This coming July 6, on his home turf of Berlin and in the Renaissance confines of the Zitadelle Spandau, Paul van Dyk will helm the second We Are One event. As We Are One puts in place its final preparations, PvD has gone studio-side with Canadian tech-house/trance producer Arnej to attempt to crown the night with an anthem of large proportions! From its pianoforte overture, coupled with a calling Eastern tinged vocal-harmonic, Arnej drops the track down into one of his hard-rocking, electro/tech grooves, propelling the build with a substantial dose of dark, distorted sonic matter. At the end of the break, the track intensely pitch-bends its way to the upwards, where PvD unchains the synths to hit home, creating a huge updraft of floor energy. Have a listen to it below.